What is it that makes standing in the exact location of something historical, momentous or simply in the footprints of someone famous, so thrilling? Or horrifying? On Tuesday I was standing on a stage in the beautiful east coastal town of Aldeburgh ready to give one of my talks on Germany’s WW2 memorial culture when someone said, “You’re standing exactly where Bill Nighy stood last night”. It was tiny but there it was, a subtle tingle, a flutter of excitement. I like Bill Nighy and I liked knowing that I was so hot on his heels, talking in a venue in which he too had talked. But what’s really happening, what are our bodies or minds reacting to when we are in the presence even of such tenuous claims to fame or significance? It honestly makes me wince, not because it’s insensitive, antagonistic or unnecessary, but because it is so unbelievably, pathetically childish. I once laughed at Will Self’s brilliant verbal portrait of Boris as “an enigma wrapped up in a whoopee cushion” but I don’t find him remotely enigmatic or amusing anymore. Just dangerously out of date and out of touch. What purpose does Holocaust Memorial Day serve for those generations who can’t “remember”? Today, 27th January, is International Holocaust Memorial Day, the date that marks the day Auschwitz-Birkenau was liberated by Soviet troops in 1945. It is the day on which we are asked to remember the 11 million victims killed in the Holocaust – 6 million Jews and 5 million Soviet POWs, homosexuals, Sinti and Roma, mentally or physically disabled, Roman Catholics, political dissidents, ethnic Poles, Slavs and Ukrainians. All had become victims of the Nazi hatred that deemed them to be “Untermenschen”, literally ‘beneath’ or ‘below’ human; sub-humans. They were killed because they were seen to be a threat to the ideal world image that Hitler and his followers were striving to manifest. 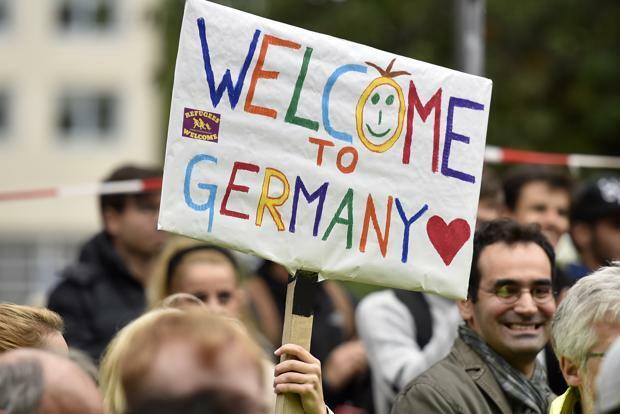 Germany’s welcoming response to the refugee crisis doesn’t surprise me. The more Germans are allowed to acknowledge their own WW2 traumas, the more their personal and collective memories of the horrors of the 1944-50 flights and expulsions come to light. Germany’s ‘open house’ policy and newly attributed “moral leadership” within the mounting refugee crisis was indeed initially surprising. It certainly wasn’t always so. I’m remembering the 17-year-old boy I met in the nineties when I was working as an artist in Cologne Prison. His name was Christian and he had been placed in the special segregated unit there because his crime was so contentious on a national scale. 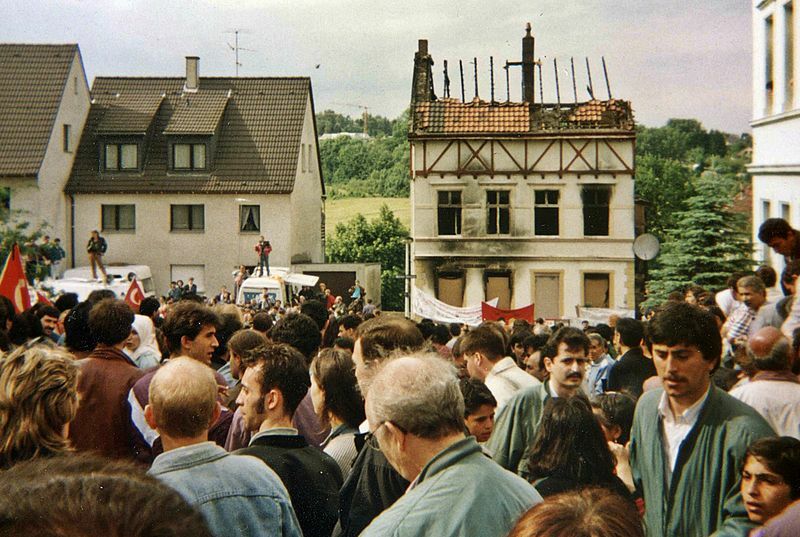 He was one of four young Neo-Nazis responsible for burning down the house of a large Turkish family in Solingen in May 1993, killing three girls and two women and injuring fourteen other family members. It was the most severe instance of anti-foreigner violence in modern Germany and in 1995, Christian was found guilty of murder, attempted murder and arson and sentenced to 10 years. 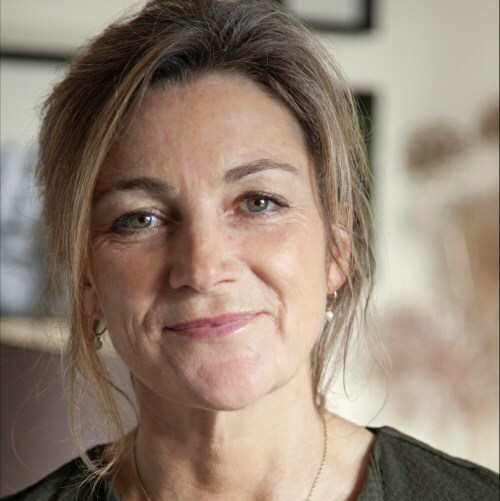 VE Day 70 years on – a time to celebrate victory or a time to also to look more closely at the price of war to women and girls? Within the context of my interest in WW2 Remembrance, May offers a welcome break from the misery and darkness. 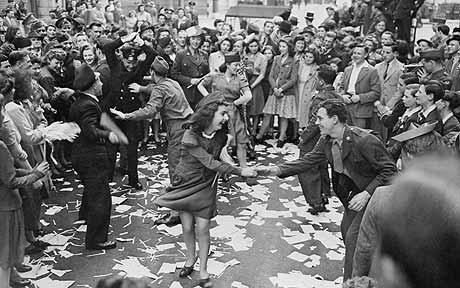 It is indeed a time to celebrate, for on May 8th 1945 Churchill was finally able to announce that the war was over in Europe. The jubilation was naturally boundless and Britain threw the biggest street party the country had ever seen. The Allies had triumphed over the Nazi enemy, Germany had unconditionally surrendered, and it would be the end of death and destruction.